There's been Minecraft LEGO for a while now, but it's been on a tiny scale, with tiny little figures. These new sets are "normal" scale, meaning your Star Wars v Minecraft fan-fic role-playing just got a lot easier. 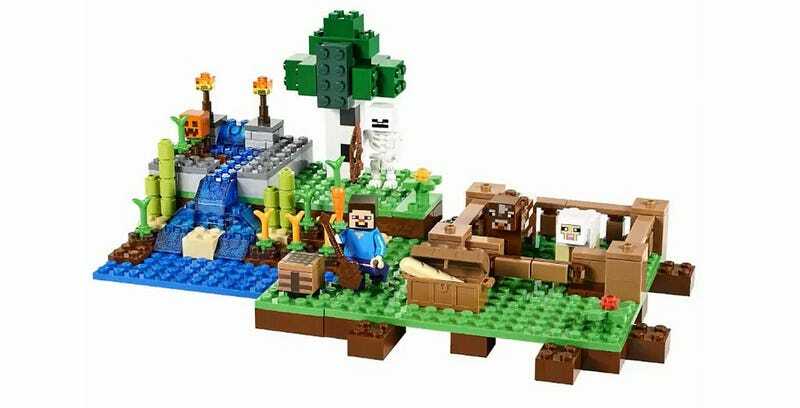 The two sets, "The Cave" and "The Farm", aren't huge, but they are big enough to accommodate 3-4 of the new normal-sized Minecraft minifigs each. Love the square heads. Nice touch.